Dipstick Other Motorcycle Parts Milind Enterprises is engaged in offering a wide range of Oil Dip Stick that is offered in various sizes at market leading prices. Made of nitrile rubber. AS the name suggest it guides the dipstick into the oil Tank to check oil level. Near the mouth of the oil Tank . 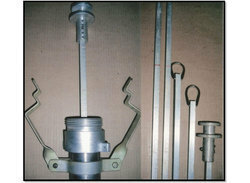 We are renowned manufacturer, wholesaler and exporter of Oil Gauge Dip Stick .We are dealing in all type of vehicle Oil Gauge Dip Stick. We are engaged in offering a comprehensive range of Stainless Steel Dip Stick to our valued clients at market leading prices. Our offered range of pipe fittings represents high durable life, maximum performance and anti-corrosive features. 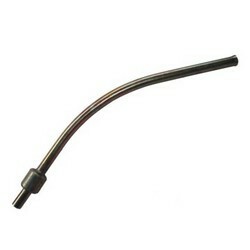 We are among the reputed organizations, highly engaged in providing an optimum quality range of Steel Oil Gauge Dipstick Pipe. Our Dip Stick component allows you to determine whether you have enough oil left in your oil sump so you can quickly make the proper adjustments. The oil Dipstick allows you to make a simple inspection of the oil level in your vehicle's oil sump. We are largly dealing in Ape Piaggio Dip Stick. Equipped with all the high-tech machinery, our organization is engaged in manufacturing an extensive range of Dipstick Kit.